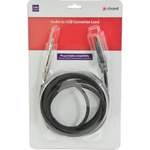 Analogue to digital conversion lead with 6.3mm jack connector at one end and USB type A connector at the other, for connecting a line input, instrument or dynamic microphone directly to a PC or Mac computer. 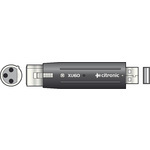 An easy and efficient solution for digital recording of vocal lines, instruments and podcasts. 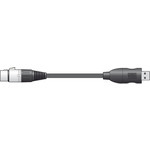 Analogue to digital conversion lead with XLRF jack connector at one end and USB type A connector at the other, for connecting a line input, instrument or dynamic microphone directly to a PC or Mac computer. An easy and efficient solution for digital recording of vocal lines, instruments and podcasts.